Vice President Joe Biden fiercely attacked Mitt Romney’s foreign policy, accusing the former governor of harboring a “Cold War mindset,” ignoring the facts of President Obama’s record, and undermining the importance of hunting down Osama bin Laden. “On this fundamental issue, the contrast between President Obama, his record, and Gov. 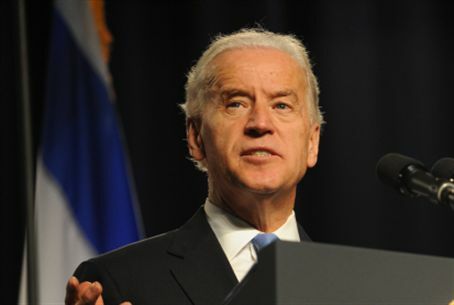 Romney and his rhetoric cannot be greater,” Biden told a crowd of 500 students at New York University. “…we know that to the extent he’s shown any foreign policy vision it’s through the glass of a rear view mirror,” Biden said. Romney foreign policy adviser Dan Senor, a former chief spokesman for the Coalition Provisional Authority in Iraq, said Obama has “downgraded” US relations with Israel and abdicated its leadership role in the past three years. “The vice president seems to focus on a fantasy narrative, if you will, about the Obama administration’s record in improving relations with the world (and) ‘repairing’ relations with American allies,” Senor added. On Iran, Romney adviser Alex Wong said Washington must present a credible military threat, but the Obama administration instead “has gone out of its way to convey that the military option is not serious,” allowing the regime to pursue its nuclear program without fear of retaliation.